Larvae of this generally abundant species tunnel within the stipe and cap of wild mushrooms during the late summer and autumn. Damage is often extensive (Plate 6e) and may be followed by bacterial breakdown of the tissue. The larvae also infest cultivated mushroom crops and, prior to the introduction of modern cultural methods, were often serious pests. 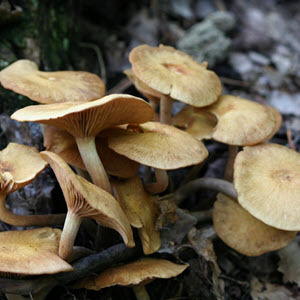 The females deposit eggs on the gills of mushrooms or on the casing but, unlike the previous species, they will oviposit only in daylight; attacks do not occur, therefore, in blacked-out mushroom houses or culture chambers, and this has led to a significant decline in the importance of this insect. Adults occur from June to December; they are mainly black and slightly larger than those of Megaselia halterata (above).